Beautiful Two-Piece Wedding Dress with Detachable Skirt. Modern fashion meets classic glamour in this romantic two-piece wedding dress. 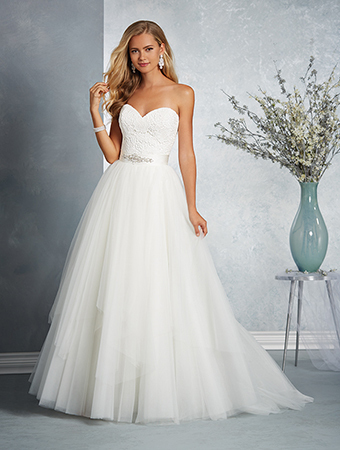 A detachable ball gown skirt overlays the short, sheath silhouette gown with a sweetheart bodice.